So how are you celebrating the Academy Awards? What chocolate creations? Last year I did a post on Chocolate Oscars. This year I thought I'd post a few of my favorite 'movie' foods. Easy and perfect for the big Night! Pour both ingredients into a cocktail shaker with a few ice cubes. Shake well, strain into a cocktail glass and serve. Garnish with grated chocolate. You can also rim the chilled glass with cocoa powder but pour slowly. 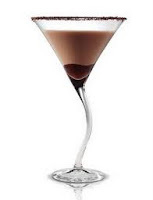 Even better: Rim a chilled glass with chocolate sauce and put it in the freezer until you're ready to make the drink! Put the popped popcorn into a large bowl or a flat baking pan (for more even distribution). Melt some dark or white chocolate or both (in separate bowls) in the top of a double boiler (or in the microwave). 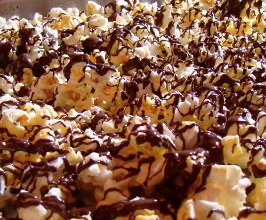 Drizzle the chocolate on the popcorn. You can always add more chocolate, but you can't remove it, so use it sparingly. Cocopotamus dark chocolate fudge truffles have been chosen for the Celebrity Gift - also known as the "swag bag" - for the 83rd Academy Awards tonight. Cocopotamus took the handmade chocolate truffles live to the celebrities for a charity event at The W Hotel in Los Angeles in the last two days preceding the actual Oscars ceremony today. The 23 Cocopotamus flavors range from classic dark fudge "Cupcake" and the popular "Holy Cow" (their only milk chocolate fudge truffle, hand-dipped in dark chocolate) to the exotic "Hottie," with cinnamon and chili, and "Lemon Shiver," infused with zesty organic California lemon. For lovers of ultra dark chocolate, there is "Bo Beep," an 88% intense dark chocolate fudge with organic black raspberry. 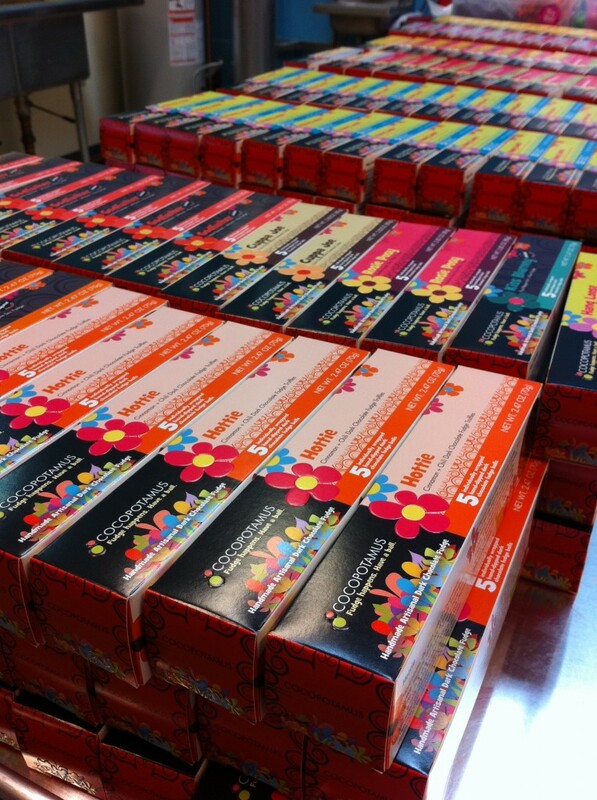 Cocopotamus ships its handmade dark chocolate fudge truffles nationwide from http://www.cocopotamus.com, including gift, party, corporate and wedding chocolate. Cocopotamus is also sold in 28 states at retailers including Whole Foods Market, Mother's Natural Kitchen and Hy-Vee, and in 3 provinces in Canada. Enjoy the Academy Awards tonight!